Learn with Rocket Languages: comprehensive, empowering and engaging lessons perfect for independent learning! How will Rocket Languages help my staff? Experience speech to text feedback using the innovative Rocket Record tool. 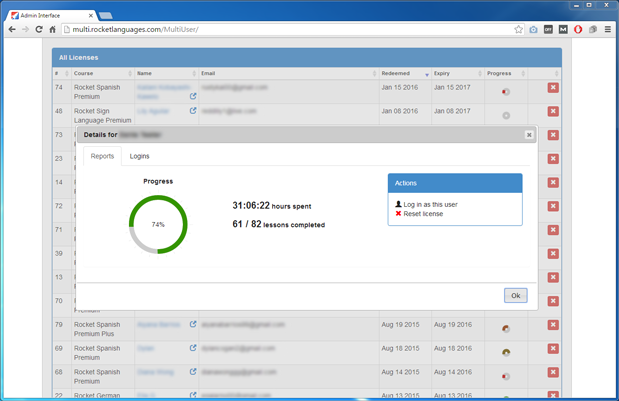 Monitor your employee’s progress with our administrative platform. Strengthen vocab skills with our fun flashcards. Thousands of words and phrases are included. 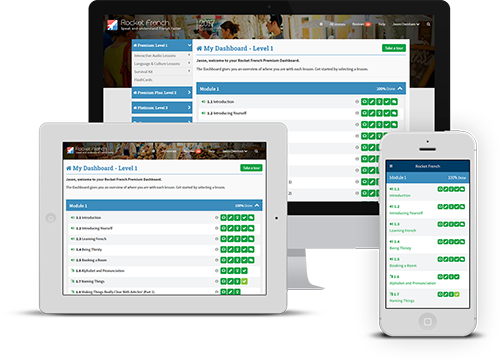 Keep staff motivated with points and badges as they work through the course. Have the convenience of learning anywhere with our mobile apps for iOS and Android. Progress syncs with the desktop version so staff can learn anytime, anywhere! How will my staff use Rocket Languages? Learners log into their own personalized members areas where they can start learning immediately – no installations, no hassle! 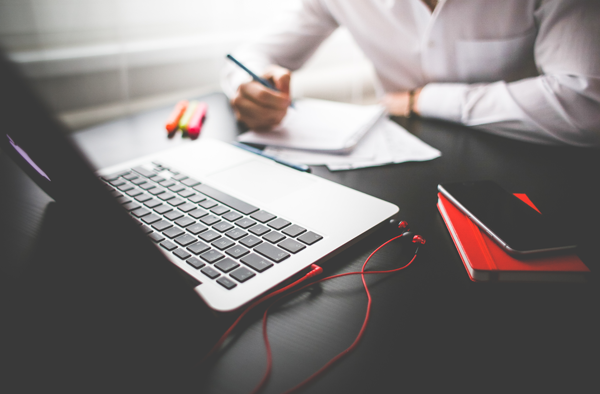 Staff can log into the course from any computer, whether at the office or from the comfort of their own home. They can also learn via the free Rocket Languages app for iOS or Android. Simply download the free app from the app store and use the same login details to get started. Our Business Licenses will provide your staff with full access to a course of their choosing for 12 months. Getting started is easy - your staff will receive an email with a redemption code which they can use to set up their account using their email address and password. Staff start learning straight away! How do I keep track of my staff’s learning? As a company, you want to make sure that your staff are making the most of their courses. That’s why we provide you with tools to manage your accounts and see progress reports. Every lesson has a variety of tests to rate that use a scientific algorithm to reinforce and enhance recall. Learners rate these tests and earn points as they move through lessons. Module Tests also provide assessment at each stage of learning and give learners the opportunity to earn certificates. Administrators can view these statistics in detail from the Administration area. What if I have changes to my staff? If you have any personnel changes throughout the year, don’t worry. Licenses are transferable so you can reset and re-assign licenses to a different user or for a different language course at any time. What happens to any unused licenses? Each license expires 12 months from the date of its first redemption, so if you have any un-redeemed licenses, they will simply roll over for the next year. If you have any licenses that are still in use, your staff will continue to have access for the full duration of the license. You won’t be short-changed! What type of bulk discounts do you offer for businesses? Just use the contact form to request a free quote and one of our representatives will get back to you with our discounted pricing options, tailored to your needs.